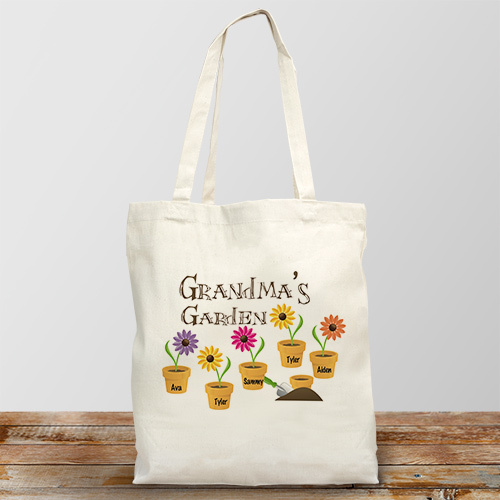 Spring is in the air and Mom, Grandma or Nana are going to love their Personalized Garden Tote Bags featuring all of their sweet little spring blossoms. Grandma Gifts like this tote bag includes personalization of any title and up to 30 names. Excellent quality bag and great personalization.